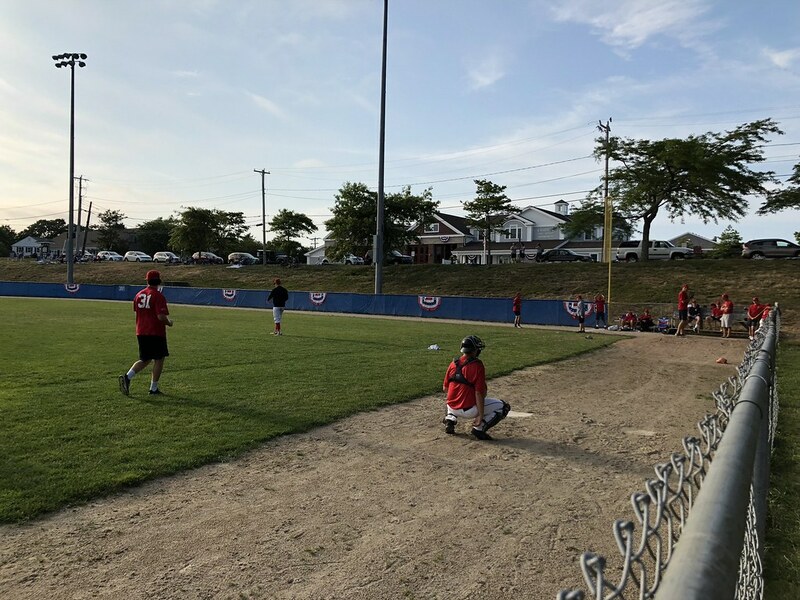 The view from behind home plate at Veterans Field. 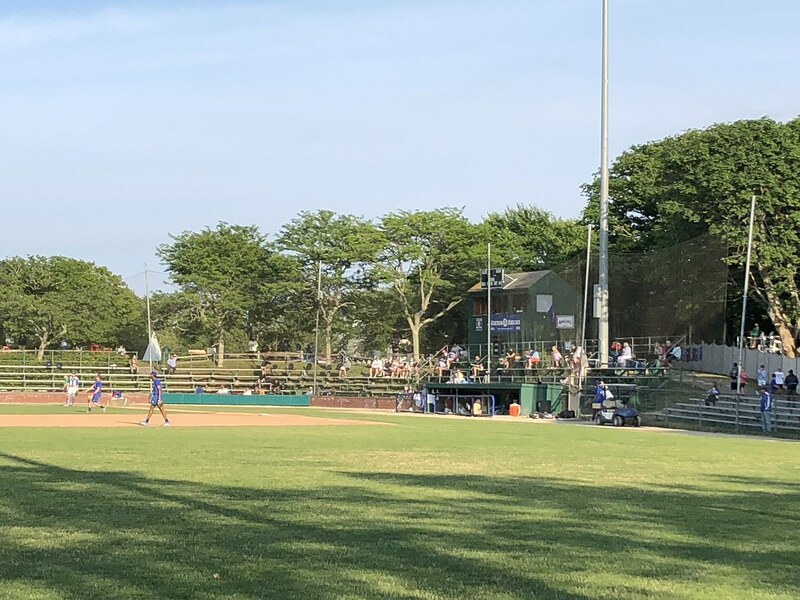 The grandstand at Veterans Field, as seen from left field. 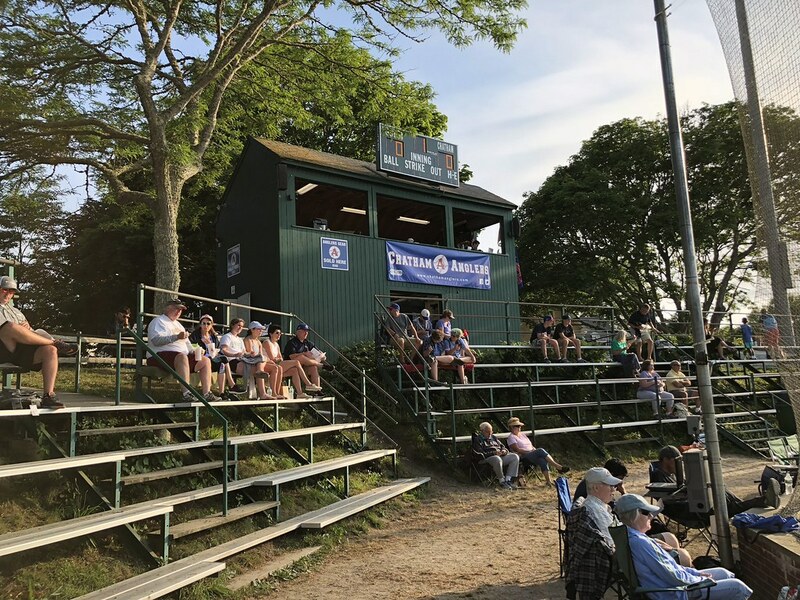 The pressbox is situated on a hill behind home plate and features a small scoreboard on the front of it. 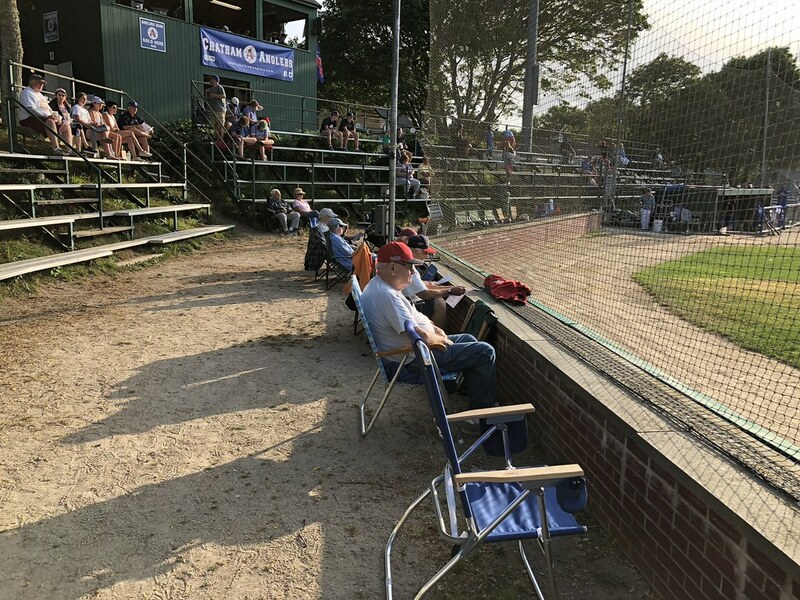 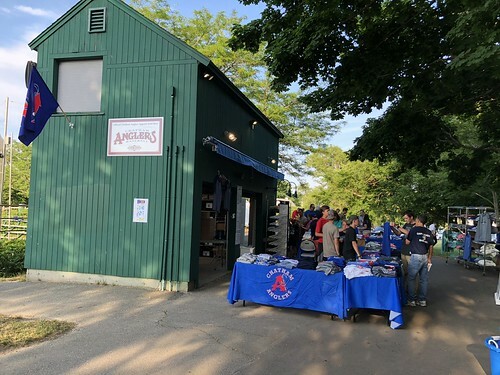 A wide aisle between the stands and the backstop gives fans plenty of room to set up their own chairs, a Cape Cod League custom. 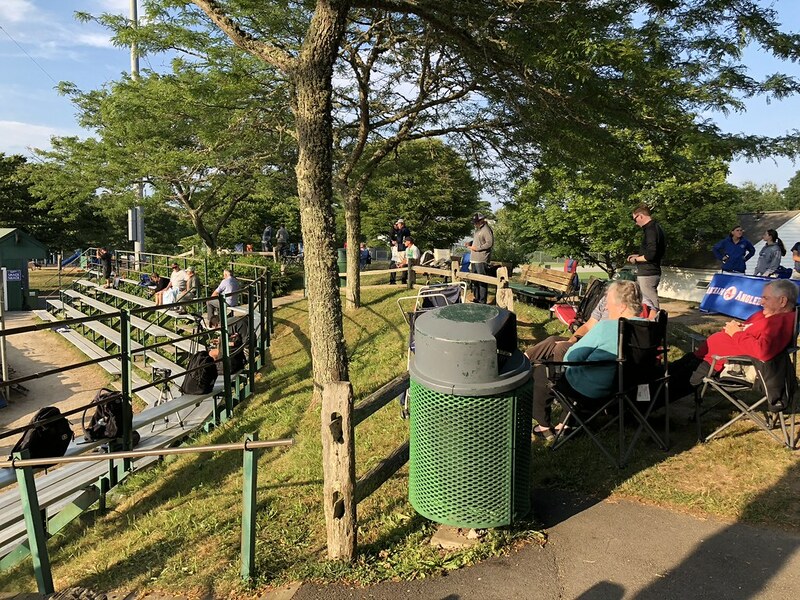 The main grandstand at Veterans Field is made up of unique, oversized, very steep bleachers. 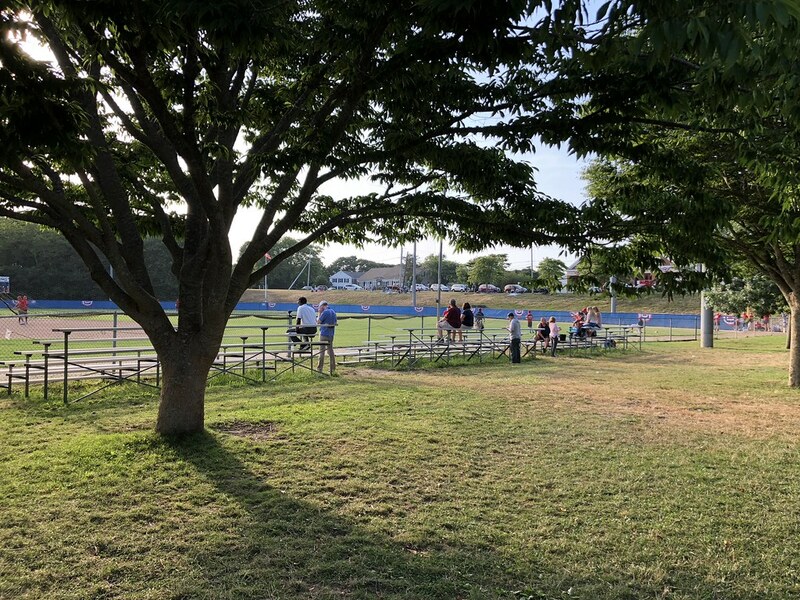 Benches and chairs brought by fans sit in the shade of trees on top of the hill behind the grandstand. 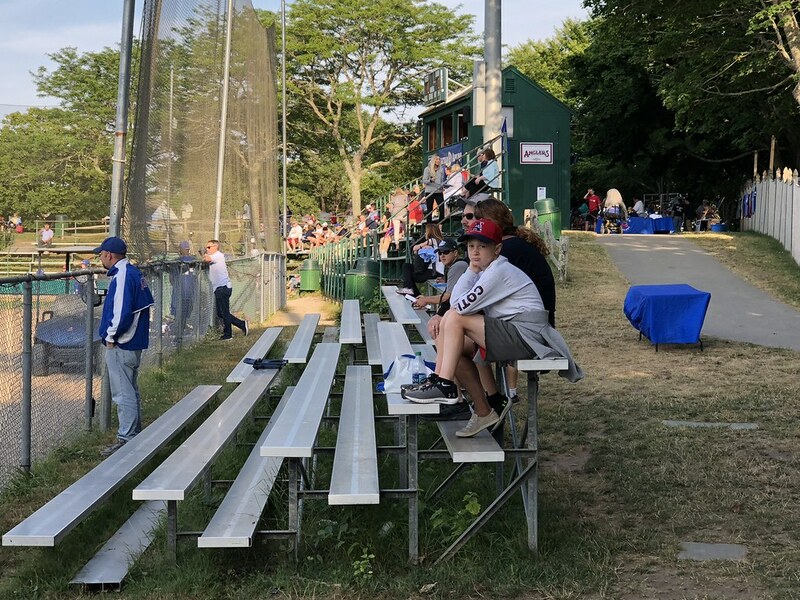 A small, more traditional, aluminum bleacher section sits down the third base line. 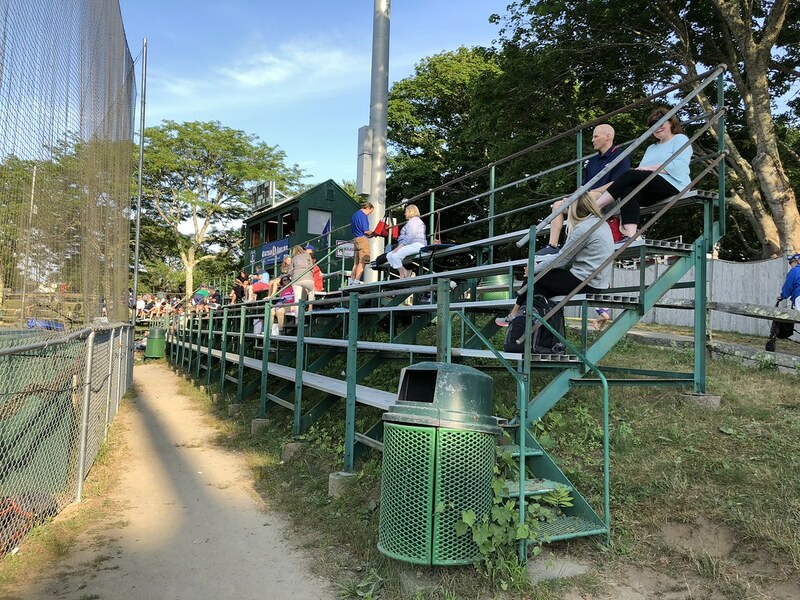 A series of small sets of bleachers runs down the right field line. 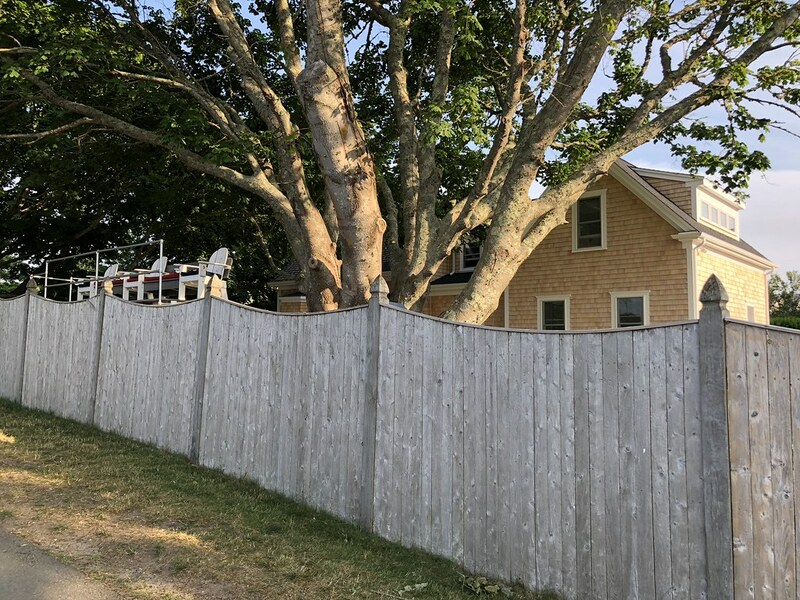 A house next door to Veterans Field features a fencetop perch for the homeowners to watch the game. 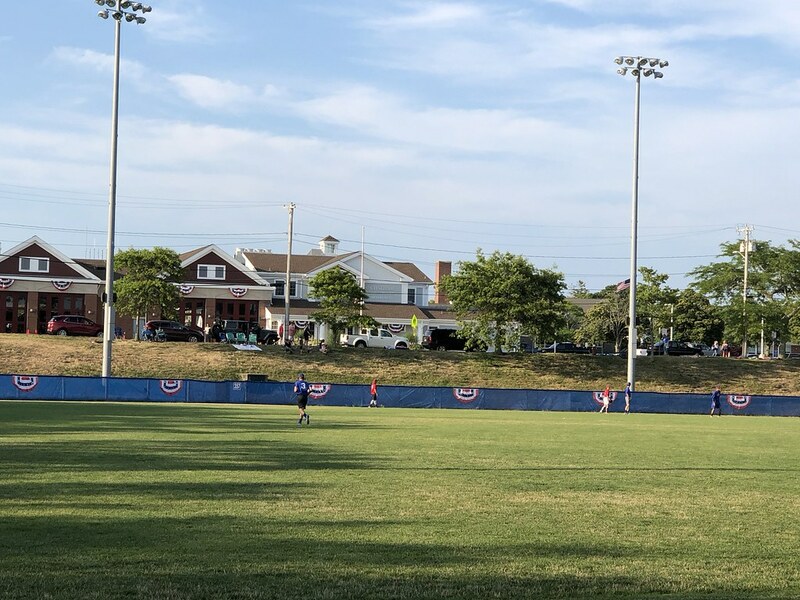 A large grass berm runs behind the right and center field walls, with the streets of Chatham behind it. 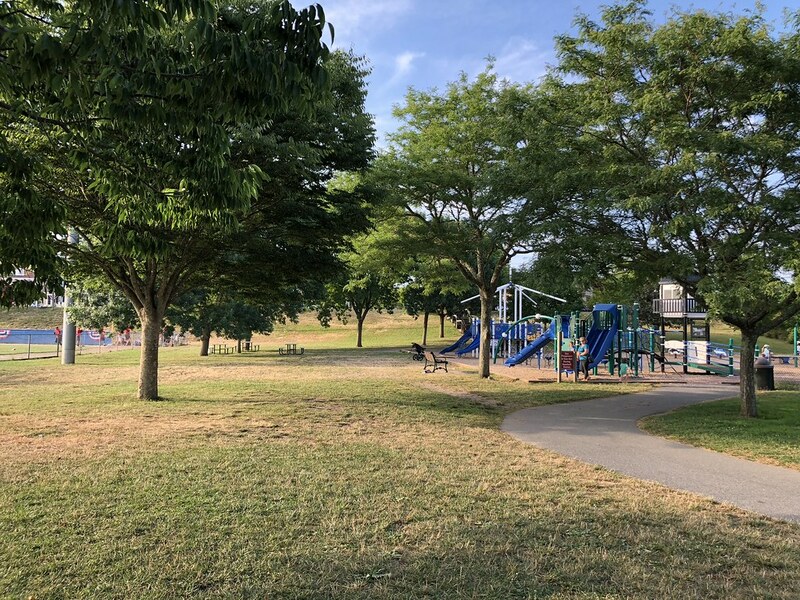 A playground and shaded walking path sit off to the right field side of the ballpark. 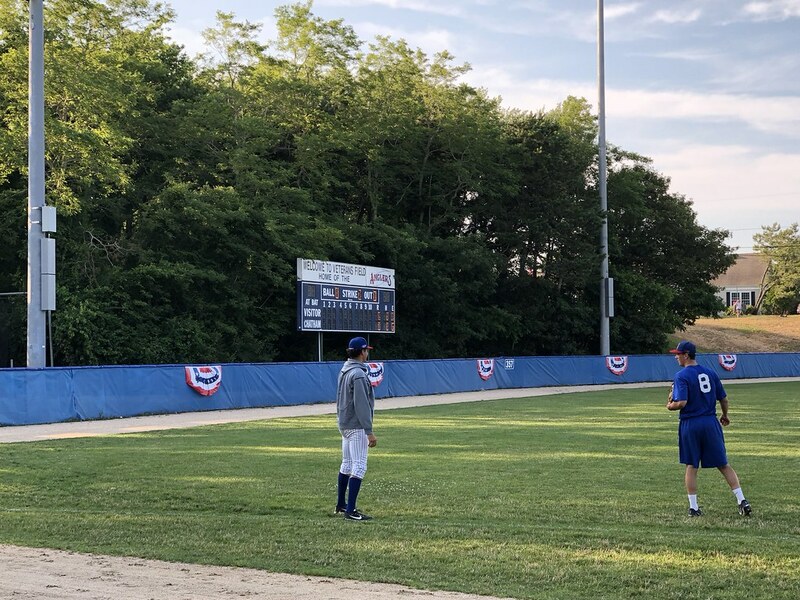 The bullpens sit in foul territory in the outfield corners. 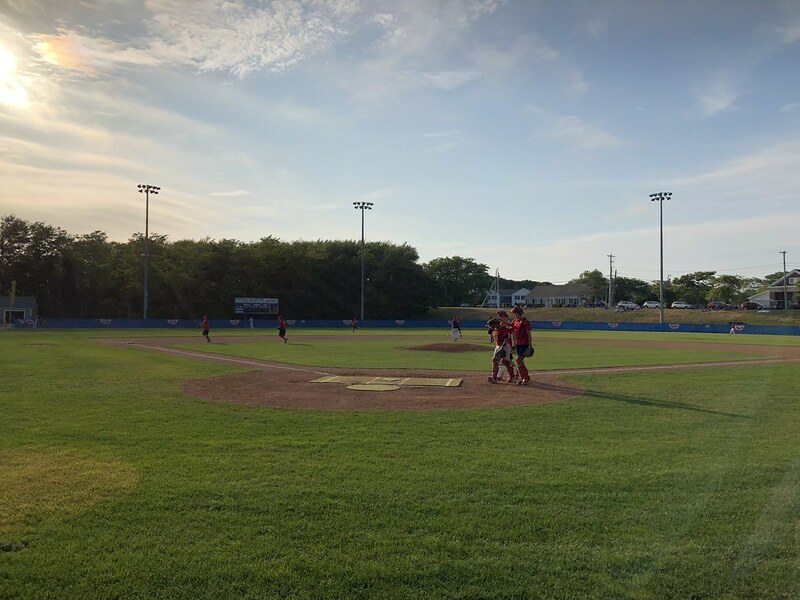 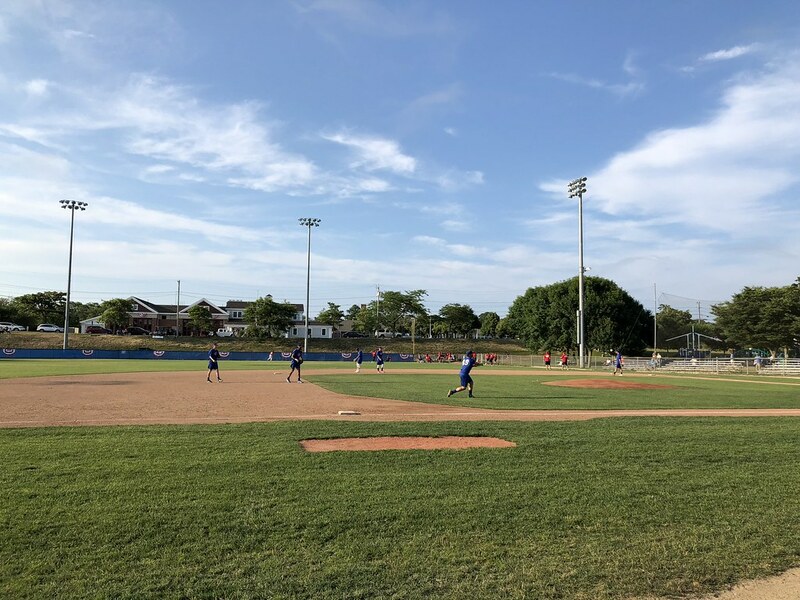 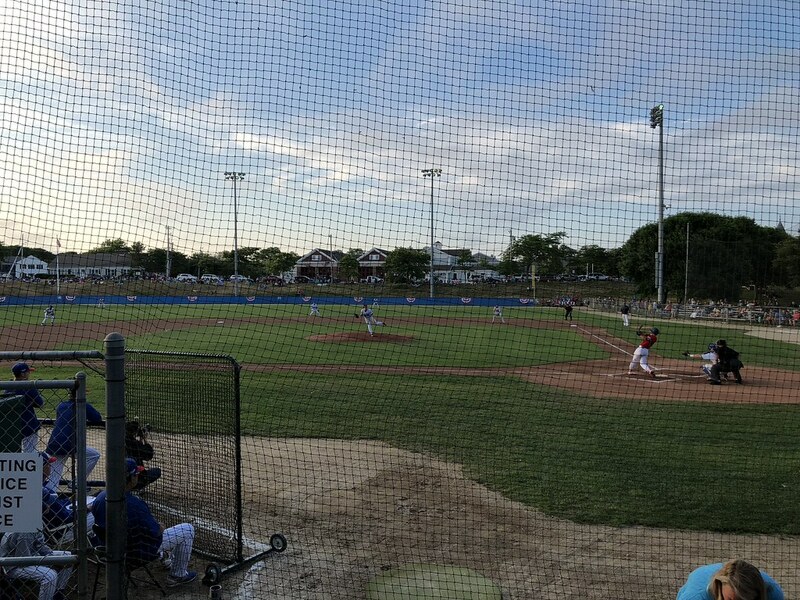 The Chatham Anglers on the field during a game at Veterans Field. 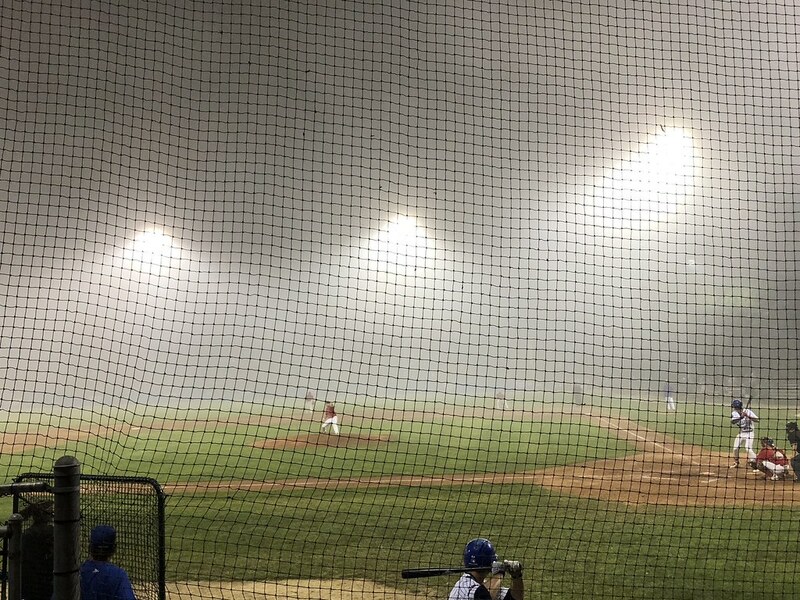 The fog rolls in during a game at Veterans Field. 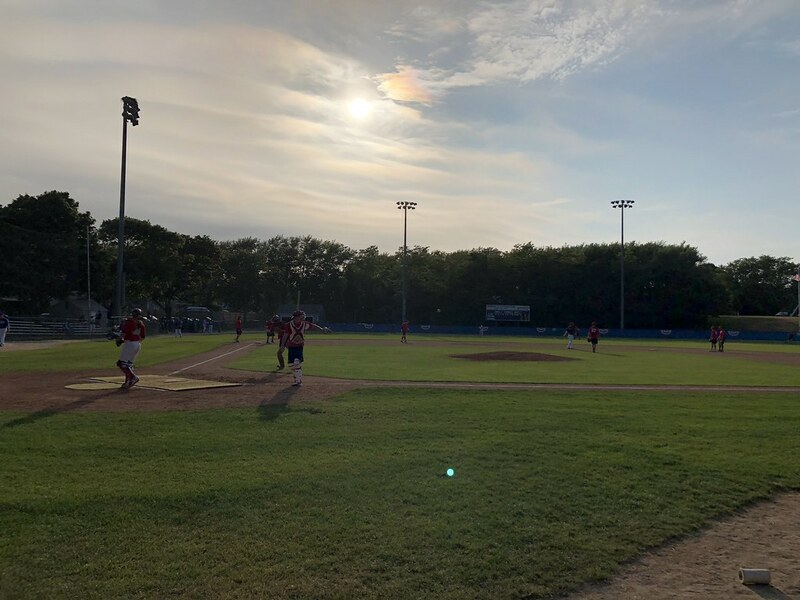 The park sits close to the water and is famous for its fog delays during summer evening games.